Movable soccer goals can fall over and kill or injure children who climb on them or hang from the crossbar. The U.S. Consumer Product Safety Commission (CPSC) has reports of at least 35 deaths since 1979 resulting from soccer goals falling over. Both homemade and professionally manufactured soccer goals are involved in these incidents. 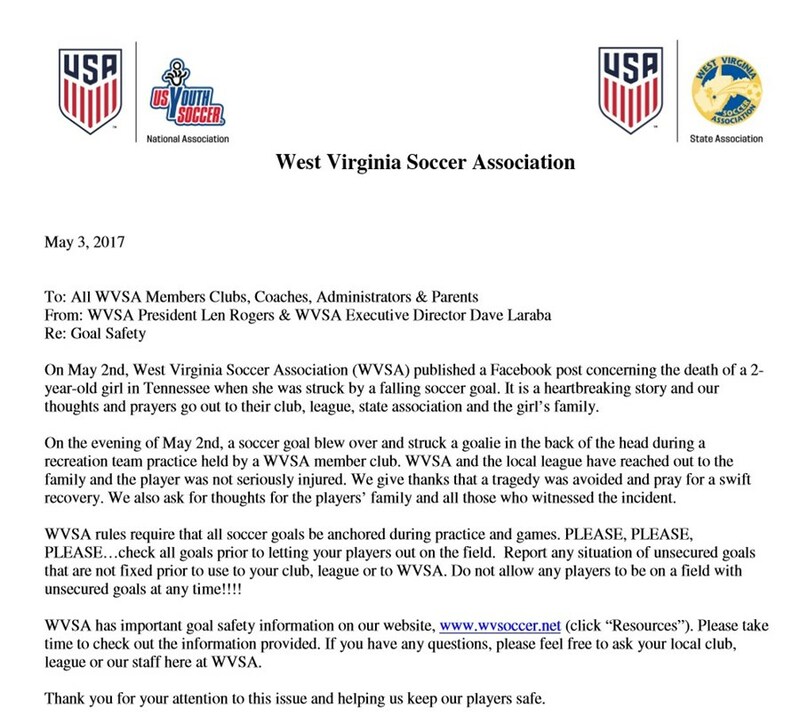 To help prevent deaths and injuries associated with soccer goals, follow the CPSC safety suggestions in this document by clicking here. Here are more guidelines from the CPSC. 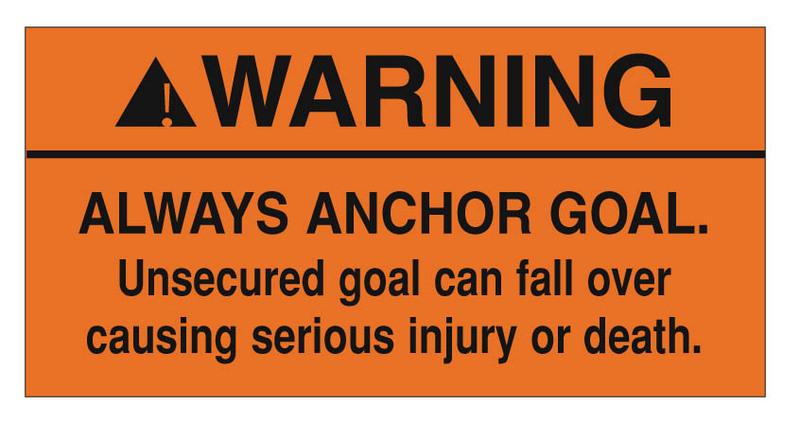 Here's more goal safety information.